What does the arrival of summer mean for the residents of Reading, Philadelphia and central Pennsylvania? Warmer temperatures, longer days and, best of all, that concert season is underway! Every year, music fans in Pennsylvania enjoy a nearly endless stream of live performances by some of the most popular artists in the nation and the world. With so many musicians planning to perform in our area in 2018, we put together a comprehensive schedule of concerts in PA you can consult to make sure you don’t miss your favorite musical acts. Of course, buying tickets to much-anticipated concerts isn’t enough to get the most out of your musical experiences. You need to make travel arrangements for getting to and from the concerts, as well. Whether you’re attending a show at the Wells Fargo Center, the Giant Center or another popular venue, Premiere #1 Limousine Service can get you to and from your destination in style and comfort. It doesn’t matter how big or small your group is, we can accommodate you and your companions in an intimate sedan or limo, a roomy minibus or an even roomier party bus. With so many concerts taking place on a weekday, you may be able to save money with the discounted rates we offer Sunday through Thursday each week. 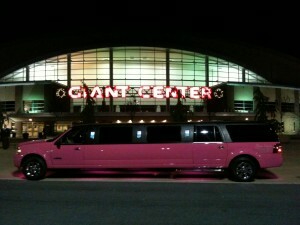 Contact us today to book affordable, luxury PA concert transportation to and from must-see concerts all summer long! Got your tickets, but still need to find a ride? Contact Premiere #1 Limousine Service to learn more and reserve your vehicle today!